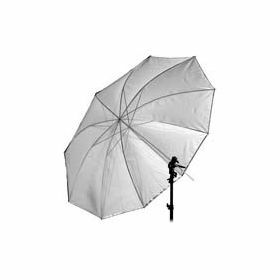 The 33" Translucent Black/Silver Umbrella offers a softer light then the traditional black/white umbrella, and the ability to use it as a shoot though or with the silver lining attached to achieve a soft high definition lighting. 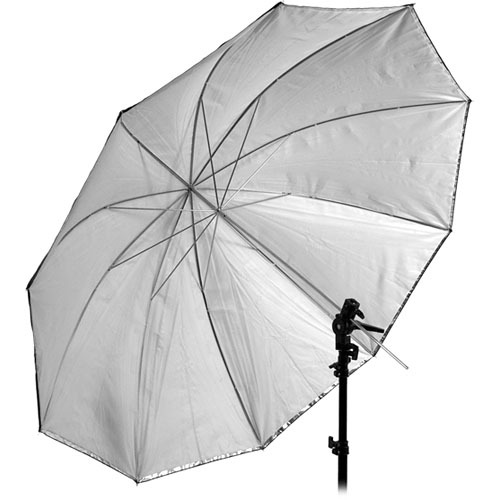 Each is made of high quality materials with a extra long shaft to allow them to be used with most manufactures lights. *Bracket and stand not included. Shown for illustration only.